Halloween is the time for all things spooky. Just not when it comes to hiring new talent. 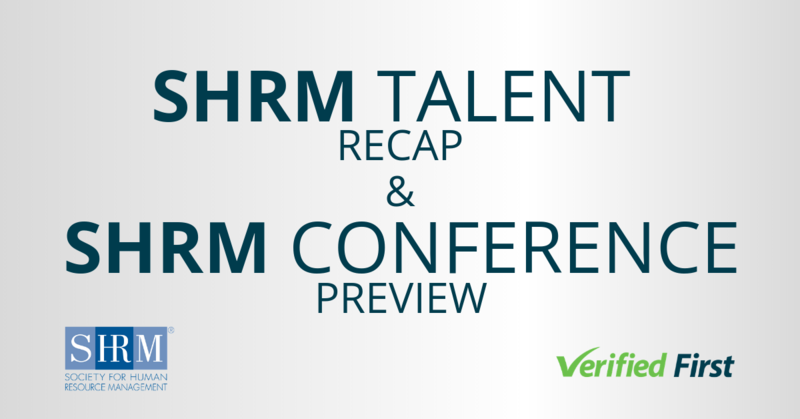 From unpleasant interviews to shady resumes, recruiters have enough to worry about year-round. 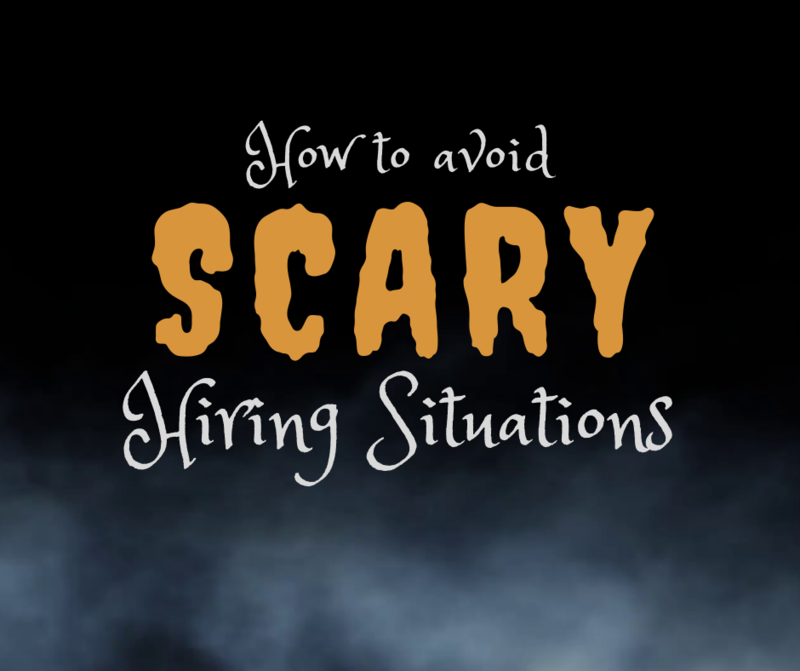 Here are five of the scariest hiring situations and how to avoid them so that your hiring process is all treat and no trick. A resume shows up on your desk, and at first glance, it looks great. Then upon further inspection, you begin to notice that pieces are patched together, and the applicant just doesn't line up with their "qualifications". Unfortunately, candidates lie on their resumes and cover letters more often than you'd think. According to Udemy, 24% of men have lied on their resumes, compared to 8% of women. Some of these lies are minimal-- a difference between a “C” and an “A” in college chemistry. Other lies forget to mention jail time. In order to determine why someone’s resume doesn’t make sense, make sure to run a comprehensive background check that can include education, license and residential verifications, and more. 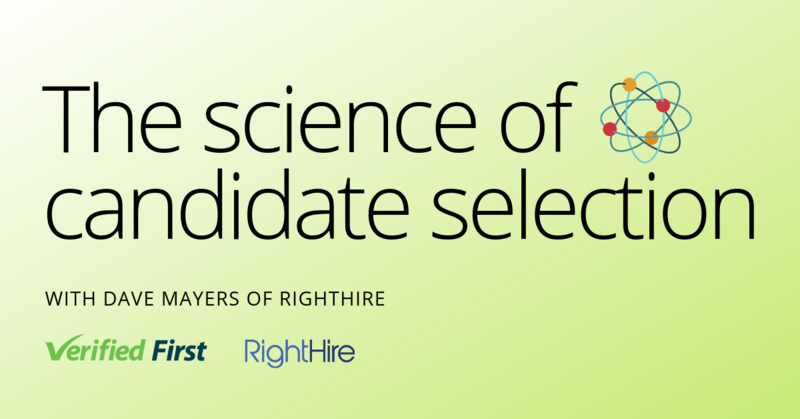 So your company has gone through the full interview process, and you’ve found the perfect candidate. You hire them, but after a few weeks, they start arriving to work later and later, and the quality of their work plummets. Many candidates know how to talk the talk during the interview process, but when they get hired and it’s time to walk the walk? Not so much. The best way recruiters can avoid shapeshifters is by conducting a reference check. This is more than a LinkedIn profile search! Use a qualified background screening company, which can get accurate references from potential employees’ previous employers. Some HR issues come from employees who are great from 9-5, but when the moon (or the weekend) comes out, they turn into totally different people. Usually, what an employee does outside of work hours is their own business. But if they cross a line, especially a legal one, their behavior can be a liability for your company. Take steps to prevent this from occurring by screening for these werewolves during your hiring process. A criminal background check will reveal if your employee has an unsavory life outside of work. According to Korn Ferry, about one in four new hires quit within the first six months of their jobs. 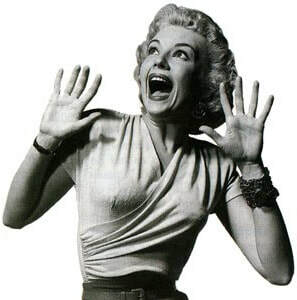 There are few things scarier than new hires who go through the full hiring process only to leave soon after starting. Especially considering the cost of new hires, on-boarding and initial training. When new employees drain company resources, recruiters can be left scrambling. The tricky thing about new hire retention is it’s not always the new hire’s fault. Sometimes the new hire simply doesn’t mesh with the company. To mitigate this, be sure to include questions that focus on a culture fit during your interview process. Then, when you’re checking a candidate’s references, talk with previous employers about your candidate’s communication style and work ethic. References aren’t just about checking to see if a candidate was honest about where they worked. 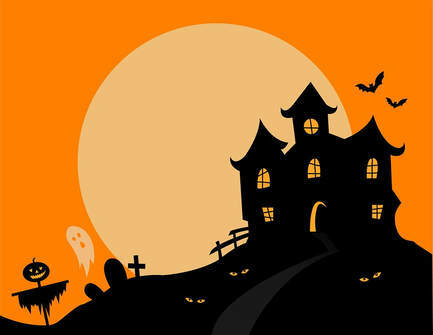 The FCRA can feel like a haunted house, with all sorts of regulations and state-specific rules jumping out at you. Even spookier? According to WebRecon, FCRA-related litigation has been consistently on the rise since 2010, jumping about 10% from 2016 to 2017 alone. Now more than ever, hiring managers and recruiters need to be sure that when they conduct background screenings, they’re doing so legally. Verified First’s in-house compliance team is dedicated to keeping your company up-to-date with the latest in compliance news and regulations. Whether you need a quick criminal background check or a comprehensive background screening, our team can help you skip the spooks. Contact us for more information.